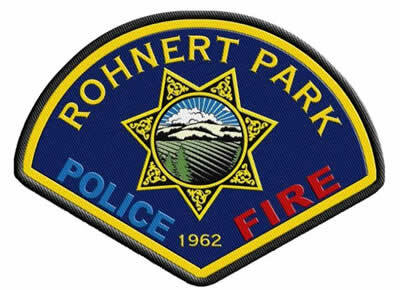 Rohnert Park police is quickly being exposed for abuse of power and a department with abusive officers. After pressure from KTVU Fox 2 Investigates, along with attorney Lisa Rafferty, Rohnert Park Department of Public Safety ultimately agreed to release the transcript of the 911 call that sparked this entire situation. Police are still refusing to release the actual 911 call. A California police officer Dave Rodriguez was caught on video drawing his gun on an unarmed man who was never a threat nor accused of any crime has been placed on temporary paid administrative leave. If the above is in fact true, why did it take a viral You Tube video to get them to act in the first place? In a Facebook post dated July 29, Rohnert Park resident Don McComas was in his driveway securing his boat to the back of his SUV when police officer Dave Rodriguez drove slowly past his house, stopped, then circled around and returned. In the video officer Dave Rodriguez’s vehicle is seen driving toward McComas before stopping in front of his house. The Rodriguez then sits inside his SUV for nearly two minutes, and at one point, appears to be taking a picture of McComas with his own camera. At this point Rodriguez if in fear had the chance to call for back up but he did not. That is when the officer Rodriguez unholsters his firearm and points it at McComas, who asks him to “put the gun down.” The video shows McComas backing away while repeatedly saying “do not touch me” and asserting he did nothing wrong and did not have a weapon.